This is a guest post from Social Media Specialist, Lilach Bullock. Some nonprofits seem to get thousands of likes and new followers on Instagram effortlessly. And while it may seem difficult to get the same results, I’ve seen nonprofits find similar success pretty quickly. 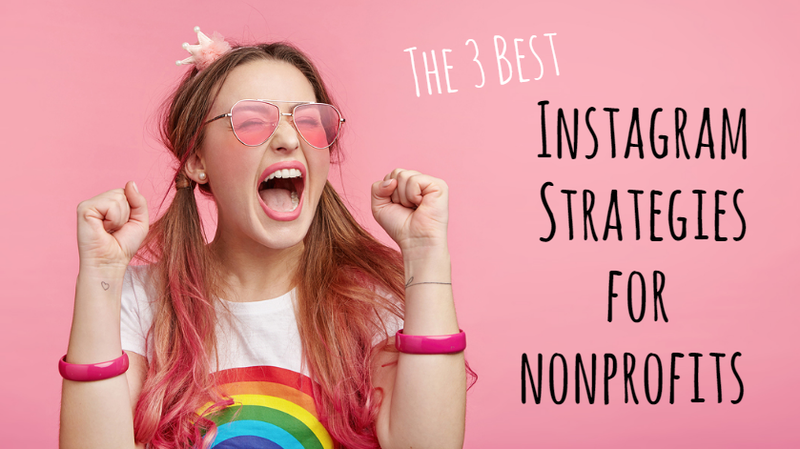 If you’re struggling to get results (engagement, followers, and so on), or simply starting from scratch, I’m going to show you the three best Instagram strategies for nonprofits I’ve seen get more likes and followers. You can also watch my webinar, 3 Instagram Tips Successful Nonprofits Use to Raise Awareness and Win Supporters, if you'd like to hear more about getting your organization noticed on Instagram. Instagram, like Twitter, is a very hashtag-heavy platform, with many of its users searching for keywords and hashtags to find good content. If you use the right amount of the right hashtags in the right places, you can end up driving a lot of traffic to your account. In this section, I’ll show you exactly how to do each of these things. Many nonprofits end up including hashtags like #impact, #donations, or #nonprofit. Unfortunately, these hashtags are so generic, they end up having little to no impact. The way I’ve seen nonprofits find success with hashtags is to first learn what hashtags their target audience is already using. For example, a writing association might include the hashtag #amwriting, which is widely used and searched for by aspiring writers. To find your target audience on Instagram, simply type in some relevant search items into Instagram’s search and see what pops up. You’ll quickly discover common trends in hashtag usage, which can help you decide which ones to use for your account. If you need help with finding the right hashtags, here's a list of every nonprofit hashtag, which is a great place to start. One tool that can help you in your search for relevant hashtags is #tagdef, which will tell you what a specific hashtag is commonly used for. If you're looking for a more comprehensive guide, you can check out this one by Hello Social. This a highly-debated subject – should you go for 30 hashtags per post, the maximum allowed? Or, should you keep things simple, and only include a couple of hashtags per post? The answer is somewhere in the middle; although there are no exact numbers (every account and every audience is different! ), studies show it’s best to keep your hashtags between 5 and 10 per post. One of the recent studies I read from Agorapulse’s Social Media Lab, found that 8 hashtags generate the most engagement – but, 6,7, and 9 hashtags generated close numbers too. The Best Place to Include Your Hashtags? Many nonprofits’ first instinct is to include hashtags in their posts’ captions; but, there is another option that many find better success with. As marketing guru Neil Patel points out, using hashtags in your caption often clutters your description and call to action and can actually put people off. The town of Thagoni in Bolivia is so remote that national water programs never would have reached it. Most of the town had lost hope they would ever get water. But today, with your support, families in Thagoni can count on reliable drinking water. From what I’ve seen, the nonprofits that continuously create small experiments with hashtags learn how to generate the most success from Instagram. One great way to experiment with hashtags is to keep a few different (but similar) hashtags on rotation to see how using them affects your results. Likewise, try different numbers of hashtags per post; you might reach more people and get more engagement if you use fewer or more than 8 hashtags. If you’d like to experiment with more than just hashtags on your Instagram account, I’ve compiled a list of 10 of the best Instagram tools to help you analyse your results and reach more people to greater success. Hashtags can help you get more traffic, but what you do with your Instagram posts determines if that traffic engages with your account and stays. While there are many Instagram strategies for nonprofits to maximize engagement on their accounts, the content you post is by far the most important. In this section, I’ll cover three types of posts that always engage people well on Instagram. "Grammers" are what people who use Instagram are commonly referred to — and one thing Grammers absolutely love quotes on Instagram. Whether it’s something inspirational, something motivational, or simply something to put a smile on people’s faces, quotes get a lot of engagement. Today is International Survivors of Suicide Loss Day. In honor of his late sister, our friend and former TWLOHA intern, Billy Dwyer, shared his experience with losing a loved one to suicide. You can read “Carrying My Sister’s Story” at the link in our profile now. If you or someone you know is struggling, please visit our FIND HELP page at twloha.com/find-help. You are not alone. In fact, quotes for this nonprofit tend to be more successful for them in terms of likes and comments as opposed to image posts. 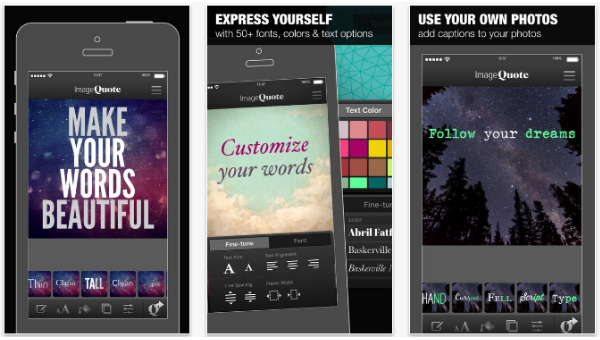 If your nonprofit hasn’t tried creating quotes for instagram yet, an app that makes it easy to do so is called ImageQuote. How well do you know your target audience? What are their likes and dislikes? Sometimes, to get people’s attention and get them involved, it helps to post some fun content – just to help you reach more of your target audience and hopefully keep them around for longer, so that they get involved in your nonprofit. Something fun can be a picture of a cute dog that someone brought to the office one day, candid shots of your team from around the office, or something you know your audience is interested in. While it was a bit of a risk, the post ended up connecting with fans of DoSomething on a deeper level, proving that sometimes letting your hair down can have a positive effect. Another way to attract people’s attention and get them to engage is to post more candid behind the scenes shots. This can be anything from the prep you’re doing for a campaign, or your volunteers hard at work – whatever interesting is happening in the backstage, share it with your audience. If you’d like to do this too, simply ask a volunteer to snap a few pictures of their day at your event and then send them to you to post. User generated content (UGC) can be an extremely effective form of spreading awareness of your nonprofit. And best of all? You’re getting your most loyal fans involved as well. The way it works is simple; first, create a branded hashtag for your campaign (try to keep it short, self-explanatory, and make sure it includes your nonprofits’ name), then ask your followers to take pictures using your branded hashtags and following your instructions on what images you want. You can then feature the best pictures and videos on your account; and not only are you getting some awesome free content, but you’re also making a difference in spreading the word. The reason why this is so effective is because people trust regular people more than they do brands, charities, nonprofits, and so on. It doesn’t matter if you’re not selling anything per se; you’re still asking for money and support for your organization, so people are naturally reluctant to trust your intentions. But, if they see their friends supporting a nonprofit, wearing their branded clothes, and so on, it’s much more likely they’ll make a bigger impact than whatever you might post yourself. Like TWLOHA, feature the best images on your Instagram account and don’t forget to shout out the person who initially posted the image. Another similar example comes from NEDA (the National Eating Disorder Association) during their Halloween campaign. At a time when people usually gorge themselves on treats, those who have eating disorders might find themselves alienated. NEDA, instead, found a way to boost morale and provide some much-needed motivation with their campaign. The response from their followers was fantastic (nearly 60 people participated) and provided a whole week’s worth of instagram posts for the nonprofit. Another big plus of using UCG? Fans often love being regrammed by the accounts they follow, which could potentially turn them into better brand ambassadors for your nonprofit. The best advice I can give is to try not to obsess with the number of likes and followers your account has. If you want to grow a targeted, engaged following and community, quality over quantity wins every time. If you need help developing your online content strategy, feel free to get in touch with me. And if you'd like to learn more about building your Instagram account, check out this comprehensive guide. What other great examples of Instagram nonprofit marketing do you know? Who are the best nonprofits on Instagram?